My New Album now on Sale at BandCamp.com! 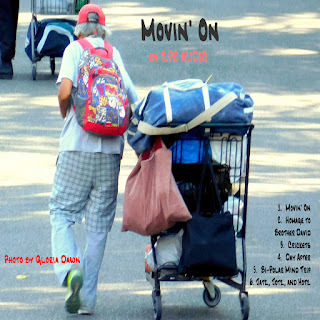 I'm excited to let people know that my album, Movin On' is now available on Bandcamp and will soon be on Spotify. Most of the album was created, by me!, over the course of 2018. For instruments I used electronic sounds from the now defunct CalkWalk software Rapture Pro and Session Drummer along with sequenced sounds with my Korg Monologue and the Korg Volca FM synthesizer. And it goes without saying, my 1974 Bach Bb trumpet with the No. 36 bell. There will be more to come in 2019. Sometimes I think,We are doomed to make,Cycles,We cannot break. 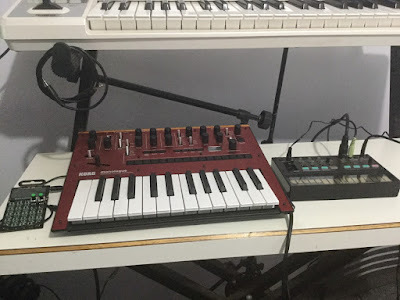 Recently purchased these synthesizers and am learning how to create backup music for the purpose of using with my trumpet improvisations. I'm hoping to perform live online or in person with these so I don't have to rely on a computer or laptop. I plan on uploading some videos as soon as I can come up with some music that I like! Matsuo Basho, a famous 17th century Japanese poet, wrote more than 1,000 haiku poems. Here is one of them for you to enjoy. I added a little music to go along with it, striving to keep the sounds simple so as not to interfere with the conceptual beauty of haiku. I love haiku poems. I love the way they evoke striking images and ideas with such brevity.